There is a great weekend of football coming up! On the college end we have the classic LSU and Alabama lineup. On Sunday we’ll see if Tim Tebow and the Broncos can take down the Raiders, and if the sparks end up flying when the Baltimore Ravens go head to head with their heated rivals, the Pittsburgh Steelers. However, you don’t have to wait until Saturday to kick off the football festivities. 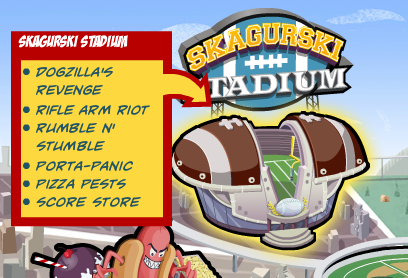 Last week we launched Skagurski Stadium, the newest area in FunGoPlay dedicated to your football needs.There are sick football video games to play like Rifle Arm Riot and Rumble N’ Stumble, plus our latest game, Dogzilla’s Revenge. 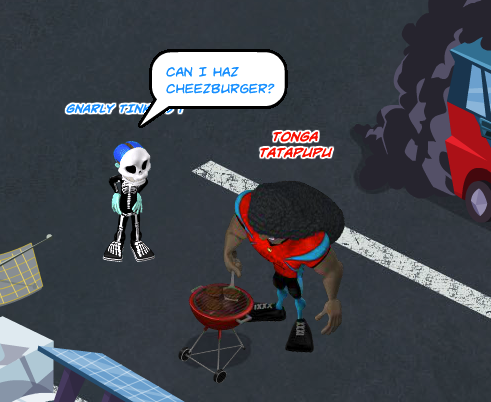 You’ll also meet carazy characters like Tonga Tatapupu! Log in and join the football frenzy! It’s gonna be a great weekend! 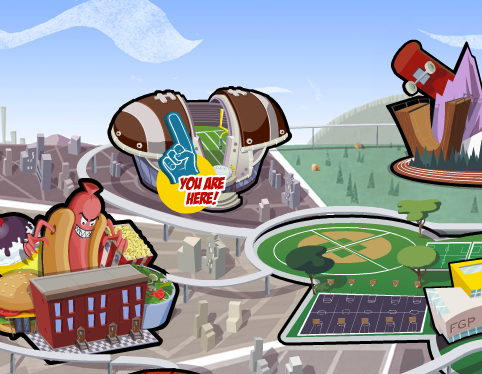 Posted by fungoplay on November 3, 2011 in Games!, Sports.